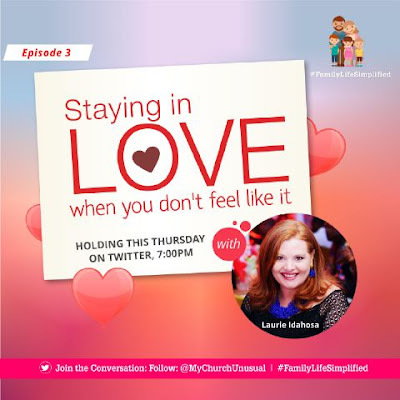 Tweet Session: How to stay in love even when you don’t feel like it. 1. Thank you for joining me for a tweet session on how to stay in love, even when you don't feel like it. 2. Marital Love is more than a romantic feeling, it's a covenant and commitment. 3. Euphoric feelings of romantic love come and go. Live realistically. 4. Find positive marital role models whom you can confidentially discuss your challenges with. 5. It's not realistic that your marriage will always be on the mountain tops. Real relationships have peaks and valleys. 7. Affirming your love with your words, despite your current disposition reignites feelings of love. 8. Ask yourself, what is it that's making me feel like I don't love him/ her anymore. 9. Deal with the root causes of the feeling of ambivalence towards your spouse. 10. Communicate with your spouse about habits or behaviors they have which lessens your feelings of love. 11. Create an environment for open communication where both positive and negatives can be discussed without judgement. 12. Avoid the temptation to fill the "love void" with other things and activities. Consciously fill it with love building exercises. 13. Take the TV and technology out of the bedroom. The less distractions, the better chance for communication. 14. Many times, our spouses reflect back to us what we are giving them. If you don't like what you get, examine what you give. 16. Bitterness or unforgiveness is a poison that negatively affects your feelings of being in love. 18. Jealousy and suspicion kills romantic love. Choose to trust and believe the best. 20. Settle disputes as quickly as possible. The longer they linger, the deeper the negative emotions. 21. Communicate your expectations with your spouse. Many issues can be settled simply with better communication skills. 22. Discover the things that push your spouses "love buttons" and do them frequently. 23. Discover the things that irk your spouse and avoid those behaviors. 24. Mutual respect and security breeds feelings of love. 25. Don't stop being intimate with your spouse. If you're not in the mood, get in the mood! 26. Create romantic daily routines and habits such as always kissing goodnight. 27. Avoid the trap of making all of your conversations surround your children. Have intellectually stimulating conversations. 29. 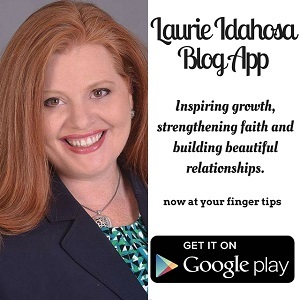 Discover an area where you can serve your spouse which communicates love to him / her. 30. Living apart eventually creates separate lives which makes the feelings of being in love difficult to sustain. 31. Identify and eradicate toxic friendships and conversations that erode your marital love. 32. Build friendships with couples who are committed to staying satisfied in their marriage. Prov. 27:17. If you have any questions, or other points you will like to share on this topic, feel free to post them in the comment section below. We will be posting other editions of Family Life Simplified subsequently. You can also share with your friends and loved ones.